CK Hutchison (0001) posted an 11 percent rise in 2018 net profit to HK$39 billion - its highest since 2015 - in line with analysts' forecasts. Earnings per share were HK$10.11 while a final dividend of HK$2.30 a share was declared. Meanwhile, CK Asset's (1113) underlying profit and underlying earnings per share rose 18.7 percent to HK$24.13 billion and 20 percent to HK$6.53, with the final dividend set at HK$1.43 per share. Victor Li Tzar-kuoi, chairing his first results conference as group chairman after his tycoon dad Li Ka-shing retired in May, said the companies will not change their strategies under his leadership. "I'm still doing the job of a managing director, even though I have an additional title now," Victor Li said, adding his dad is still an adviser. 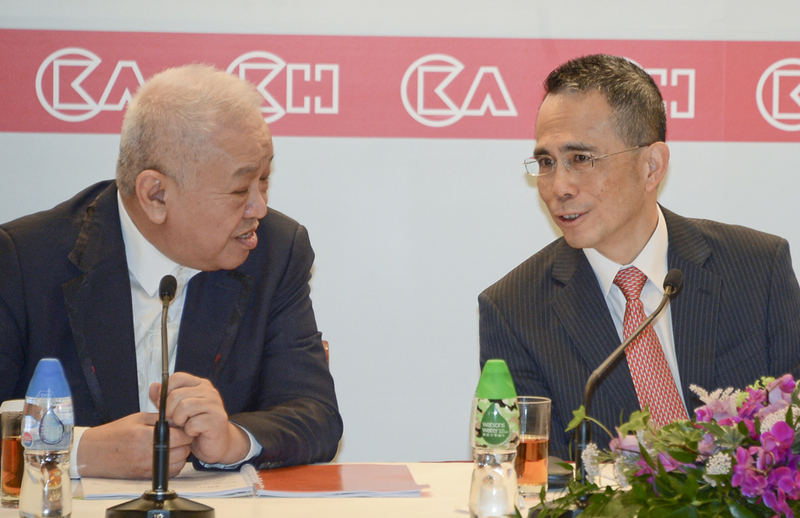 CK Hutchison's revenues grew 9.25 percent to HK$453 billion. Europe make up the largest revenue source, acccounting for 47 percent, unchanged from last year. Revenues from Hong Kong were only 10 percent, down from 11 percent in 2017. Victor Li declined to give his outlook on the property market, saying there are too many external uncertainties that could offset housing demand in the SAR. Meanwhile, CK Hutchison said it has no plans to sell its stake in beauty and health retailer AS Watson or float its shares, calling it very profitable. But it said it would support Temasek Holdings' plans to offload a part of its 24.9 percent stake. "Temasek and we have a very good relationship; we're supportive in their intention to sell a part of its stake," said group co-managing director Canning Fok Kin-ning. "We will help them to do due diligence."